The mission of the GPC is to provide high quality poison center services to healthcare professionals and residents of Georgia. Provision of 24-hour-a-day prompt and accurate poison information to those accessing our services. Education of Georgia residents in the areas of poison prevention and first aid. Education of healthcare professionals in the areas of clinical toxicology, poisoning epidemiology, poison prevention, toxicological diagnosis and care.  Since 1970, the Georgia Poison Center (GPC) has operated the 24-hour poison emergency treatment information service, providing assistance and expertise in the medical diagnosis and management of human and animal poisonings. The Center provides free, timely advice and information to parents, child care providers, pharmacists, nurses, and doctors and plays a significant role in reducing the cost of treatment and the severity of poisonings where time is of the essence. The Center is also a training site for healthcare professionals and serves the state by coordinating outreach and education programs to increase awareness of poison prevention and first-aid. The GPC is housed at the Grady Health System and operates under the supervision of the Department of Pediatrics of Emory University School of Medicine. The Center is staffed with a dedicated group of highly trained professionals including physicians, toxicologists, registered nurses, registered pharmacists, health educators and computer specialists. The GPC was designated the official State poison center in 1976, when the Georgia Department of Human Resources (DHR) secured its non-profit funding. The GPC has evolved into one of the busiest and most up-to-date front-line response toxicology information centers in the country, receiving 115,669 calls into its emergency phone service lines in 2009, as compared to 3,000 calls the year of its inception. A leader in poison prevention activities, the GPC is one of 55 centers nationwide. The center in the only one in Georgia and is certified and accredited as a Regional Poison Center by the American Association of Poison Control Centers (AAPCC). The AAPCC is the governing body and runs the centralized database for poison centers nationwide. The AAPCC compiles toxic exposure data in cooperation with poison centers and develops the national standards and certification process that ensure the quality of poison emergency services.